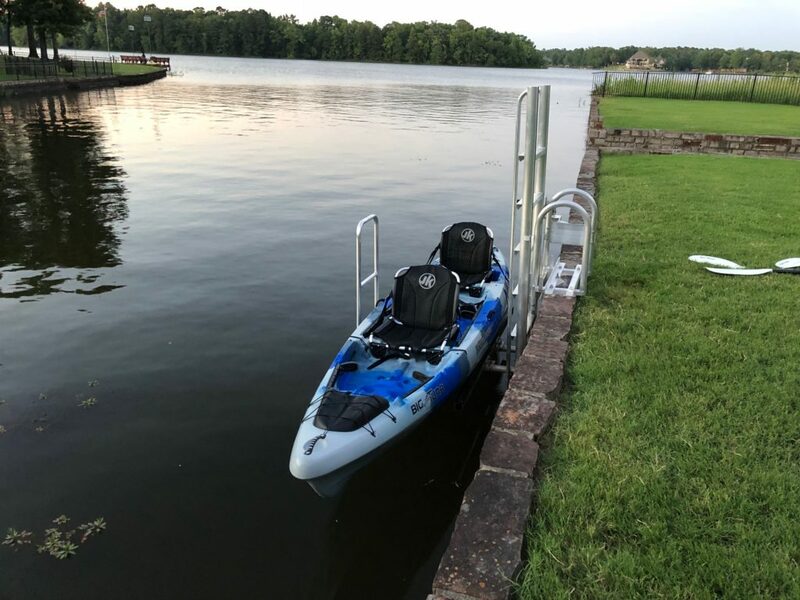 All models are welded aluminum and stainless construction and have adjustable rubber covered 6 ft. bunks to accommodate various watercraft widths. 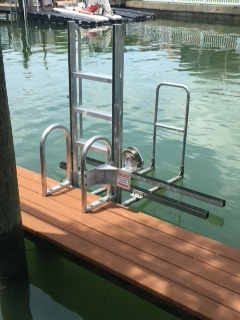 The stainless brake winch with stainless cable, controls the lowering and raising of cradle to adapt to fluctuating water levels. 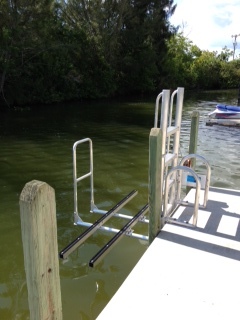 Grab rails on both sides, standing and sitting to provide stability. 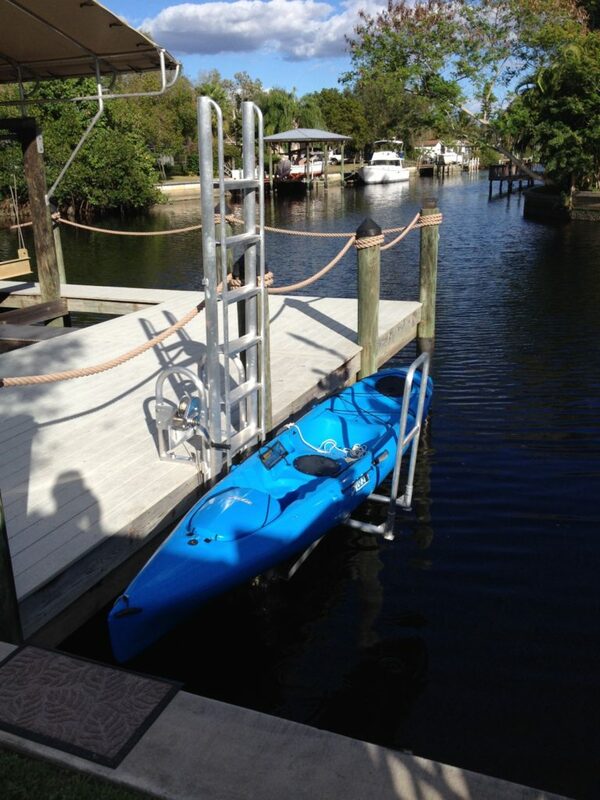 3 step model, 24 inches of travel from dock or seawall to water with 34 inches of clear entry. 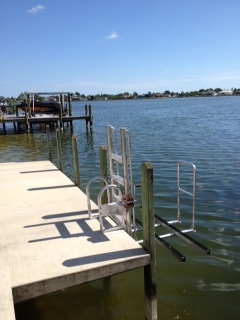 5 step model, 48 inches of travel from dock or seawall to water with 34 inches of clear entry. 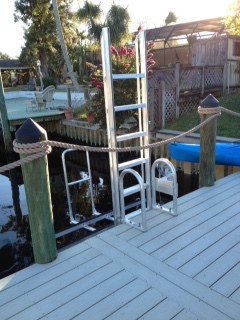 7 step model, 72 inches of travel from dock or seawall to water with 34 inches of clear entry. 3 – step model, 24 inches of travel from dock or seawall to water with 43 inches of clear entry. 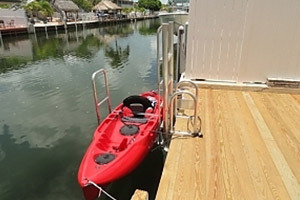 5 – Step model, 48 inches of travel from dock or seawall to water with 43 inches of clear entry. 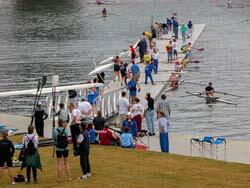 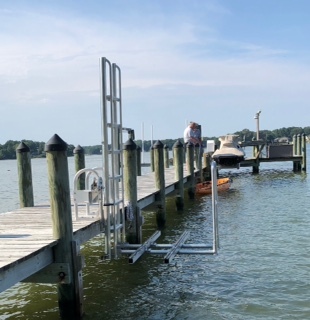 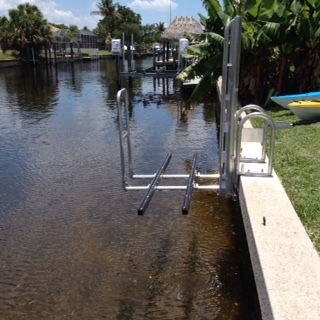 7 – Step model, 72 inches of travel from dock or seawall to water with 43 inches of clear entry. 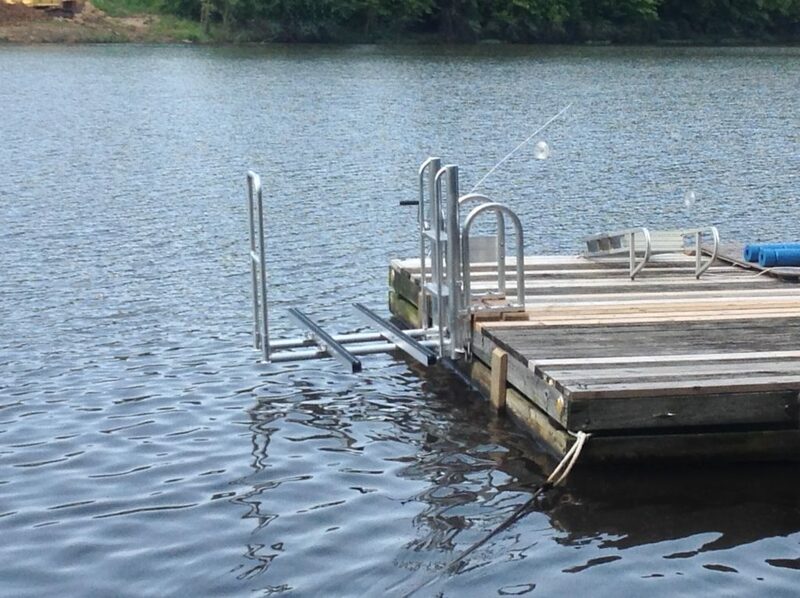 Dock, requires 4 – ½” x 14” threaded rod, flat, lock washers, and nuts. 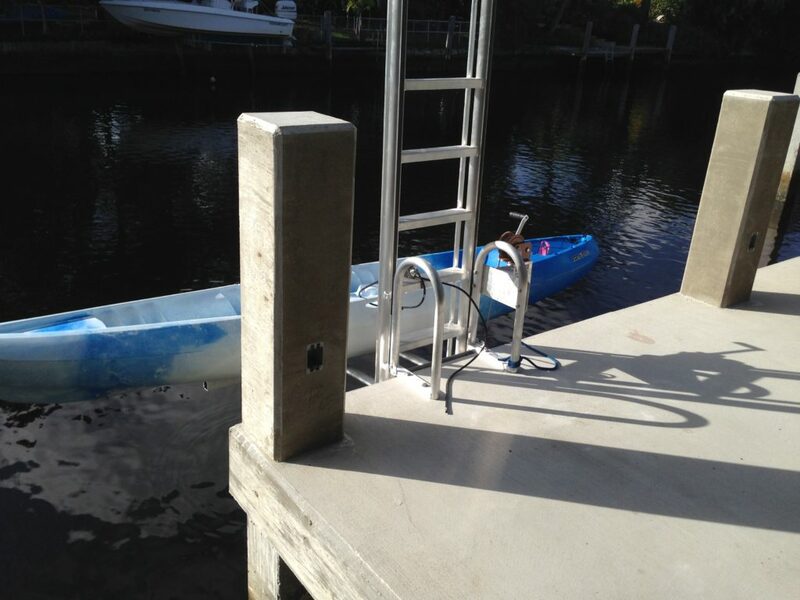 Concrete seawall, requires 4 – ½” by 5” concrete anchors. 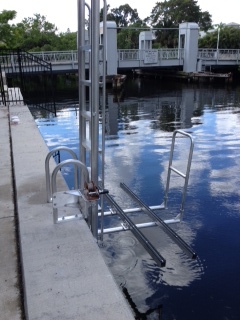 Welded Aluminum and Stainless construction. 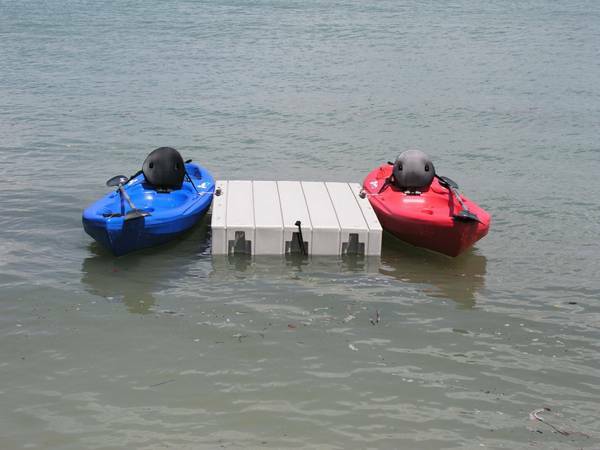 Supports All Kayaks, Canoes and Paddleboards. 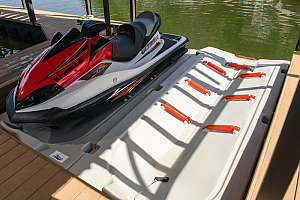 Adjustable Rubber Covered Aluminum Bunk. 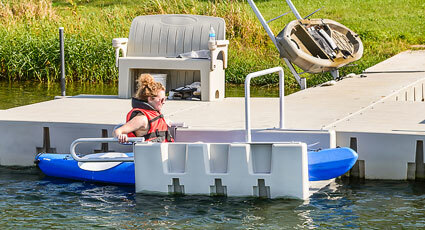 Adapts to Fluctuating Water levels. 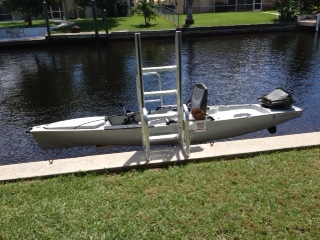 Stainless Brake Winch and Cable. 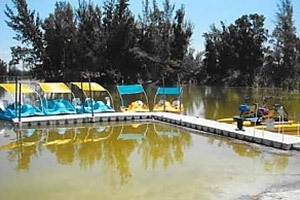 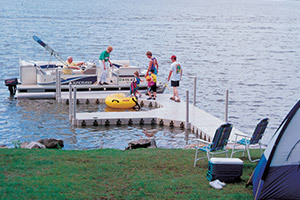 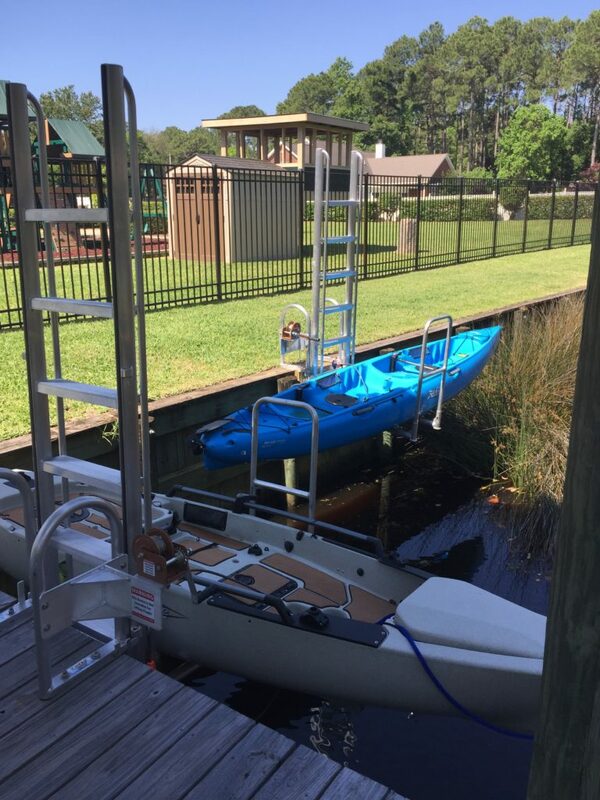 Connect-A-Dock floating dock system will help you create many family memories of safe and enjoyable fun around the water. 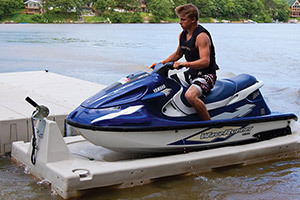 Keep your water fun on an "even keel" with Connect-A-Port 2XL! 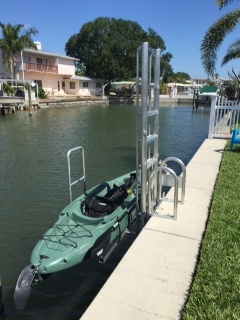 The Connect-A-port 2XL! 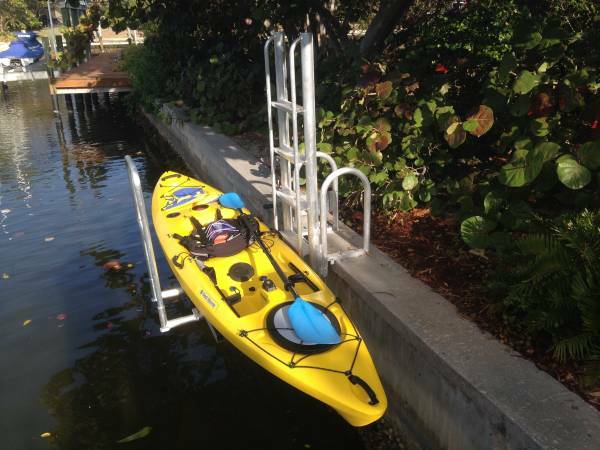 is the PWC docking for you, universal hull support makes docking personal watercraft easier. 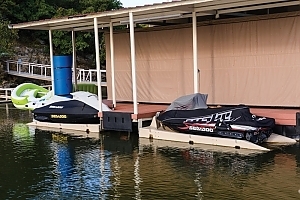 Bow rollers idle up to dock...roll off to launch. 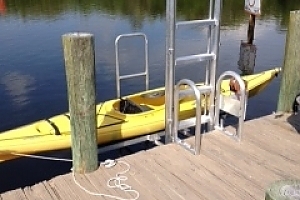 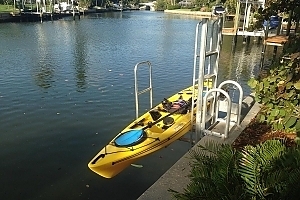 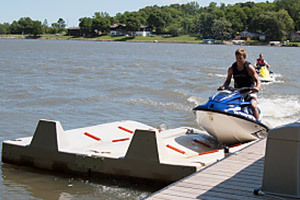 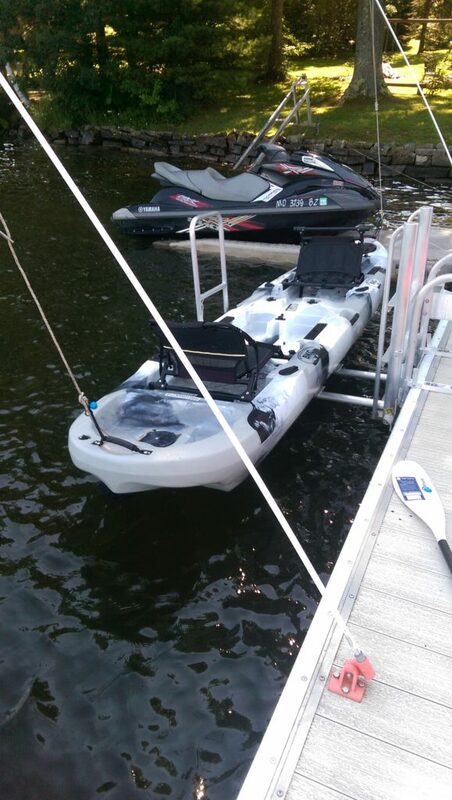 PWC Docking adds a safe harbor for your one-, two-, or three-place personal watercraft.